Except you’ve been in the wild a couple of times, it’s very tempting to think you’ll never get stranded out there. 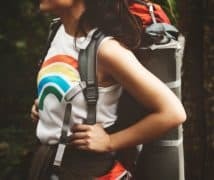 So you’re more likely to play second fiddle with your survival preparation. However, things don’t always go as planned, especially when you’re out there in the woods. Disaster can strike when you least expect it. 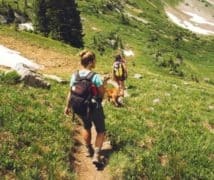 You can lose your trail while hiking or just wake up one morning to discover your canoe is nowhere to be found; you can sustain an injury and suddenly discover you have no badges or ointment…we could go on and on. So what is the big lesson? Better be prepared for the worse, or you might end up fighting for your life. Do not err on the side of caution by stowing your survival kit at home or packing it inadequately. 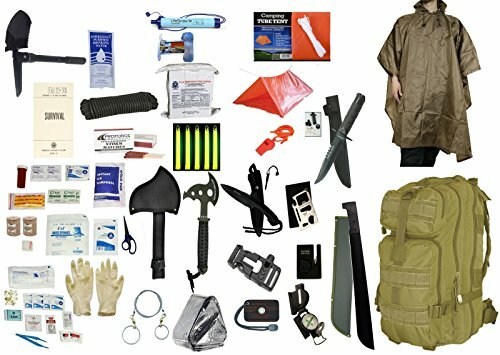 It is important to you not to go out there without packing the core survival essentials that are most critical to your survival. So besides your tent, cellular, stove and other common gear, what other items do you need for the ultimate camping survival kit? When you’re out there in the cold, it’s very important you devise a way to keep warm especially during the night hours. Even if you decide to wrap yourself inside a tent, it would never be enough to soothe your temperature amidst chilly weather. Thus packing a fire starter is the best thing you can do for yourself especially when spending the night in the woods. 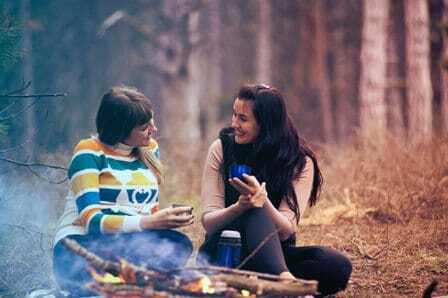 You need fire not only to survive the cold but also to cook and keep hungry wild animals away. In other words, you need to have a reliable means of starting a fire whenever possible. We personally recommend having more than one means of doing this. 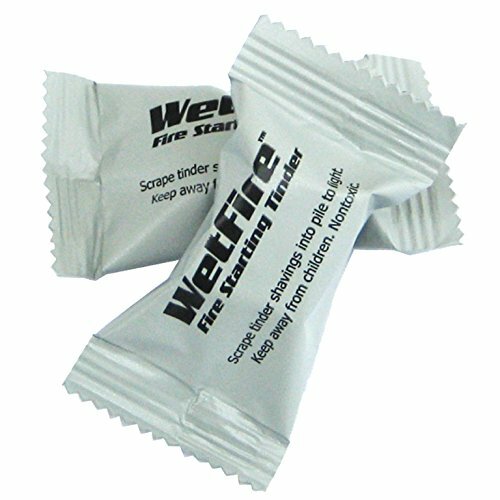 So in addition to a fire starter like UST WetFire Tinder, InstaFire And you can also carry matches or a Bic Lighter (or both). The best fire starters you carry, the better for you. You don’t want to take any chances. Or, do you? 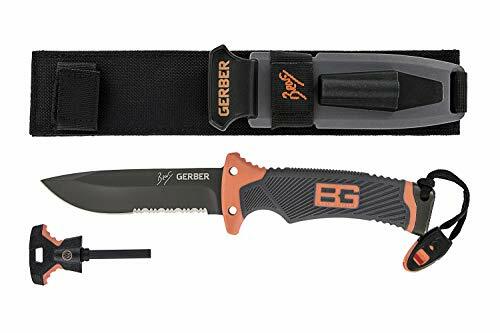 When camping or hiking, you need a knife for many things – sharpening sticks, preparing meals, making kindling, applying first aid, and meeting other emergency needs. 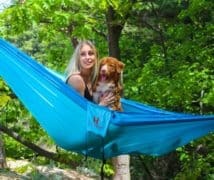 So you can’t afford to leave it out of your survival kit. And if you plan to travel in a group, you must ensure everyone has their own survival knife. Choose a knife that will be able to meet your needs. If you’re camping for the first time, you will probably need a basic knife. Such knives usually have a single foldout blade. Make sure your survival knife is strong and sharp so you won’t have a difficult time cutting things. Consider carrying a backup knife just in case your main knife fails or gets lost. 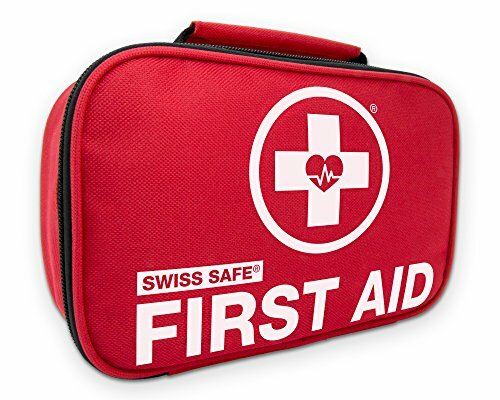 Not only do you need to carry a first aid kit, but you also need to know how to use the items in it. Pre-assembled kits are great to get started, but sometimes you may need to supplement them to meet to suit your needs. For instance, you can add a pressure dressing. Most first aid kits come with gloves, bandages, ointment, gauze pads, pain medication and treatment for blisters. It’s already established that without water, the average person cannot go longer than 72 hours. In addition, when going like this, you should plan to consume not less than one gallon of water daily. So it’s very important you carry enough water and also have a means of purification while you’re out there. In order words, you need a good water bottle and a filter to go with it. Except you plan to be out for a day or two, it’s not possible to carry all the water you’re going to need in camp. It can be possibly heavy for anyone to carry. This is why you need a reliable water filter to treat the water you’re going to find in the wild. 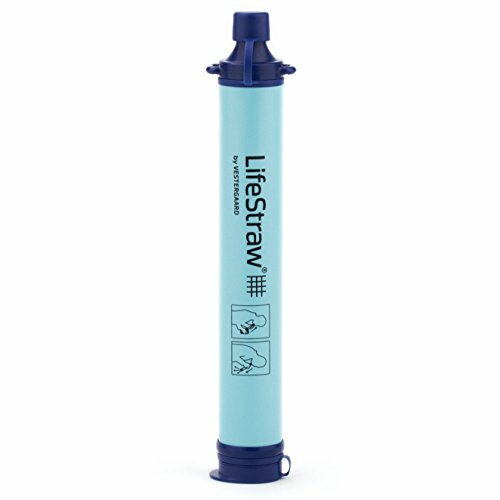 A Water Filter like the LifeStraw is a great choice. Regardless of what season it is in the year, it’s crucial you have the right clothing whenever you plan to go out in the wild. Hypothermia and pneumonia are frequent occurrences in the wild; so you must not take chances. Fire alone is not enough to counter the night cold; proper clothing is also necessary. Make sure your clothes are layered. Synthetic and wool materials are good choices. Don’t wear cotton because it’s a poor insulator and comes on heavier on you. However, choosing wool as underlayer is a good idea. 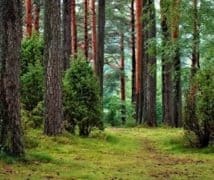 There are frequent cases of people getting lost in the wood because their GPS suddenly stopped working or their boat got carried away in the night while they slept. 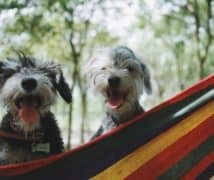 No doubt, there are numerous other reasons why people get lost when they are out there. You don’t want to find yourself in such a situation; which is why you should never rely on a GPS device alone. 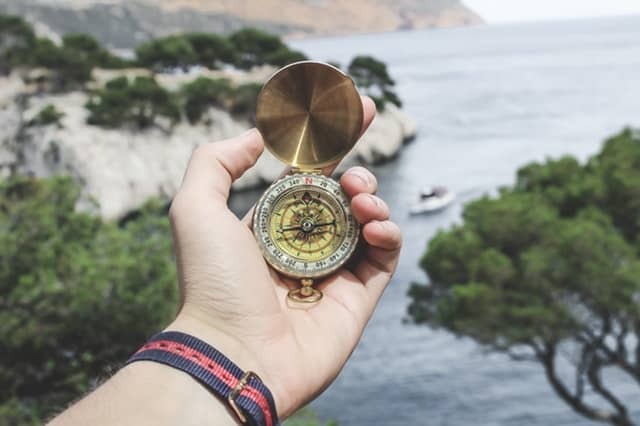 So in order not to take chances, make sure you carry a local map and a compass in your survival kit. This will help ensure you find your way back to safety in case you get lost. Maps are probably the lightest things you can have in a survival kit. If you don’t know how to use one, then you might want to spend some time learning how to. It’s also important to choose a good compass. If you don’t have one already, then you might want to consider Suunto. When out in the wild, nothing is more disorienting than total darkness especially when you are in an unfamiliar territory. This is why a light source is essential to help you navigate through the wilderness. Thus must have a headlamp or touch in your camping survival kit. Although we personally recommend having a headlamp as it keeps your hands free, but you can also opt for a torch if you consider it more convenient. 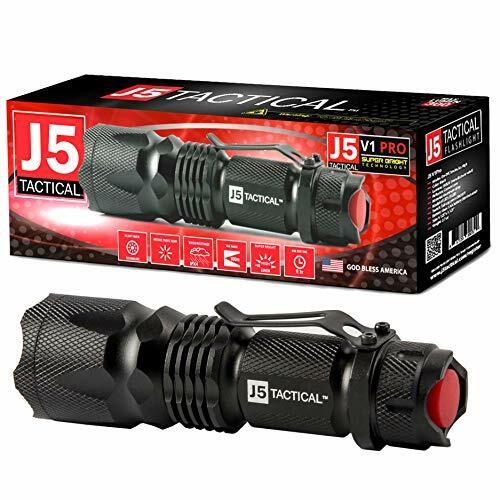 A flashlight like the 300-lumen ultra bright flashlight is a great choice. 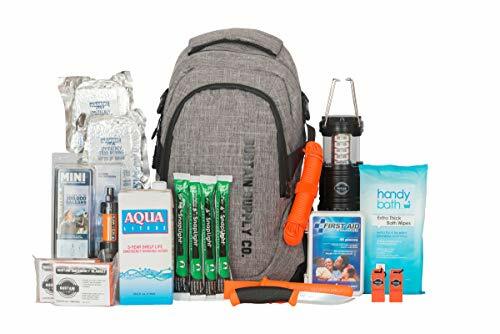 This Survival pack available in 3 packages which includes water, mini sawyer, SnapLights, LED lantern, flashlight, a Complete First Aid kit, bath wipes, emergency blankets, portable stove, bowls & utensils, knife, Ferrocerium rod, InstaFire tinder, whistle and many more. 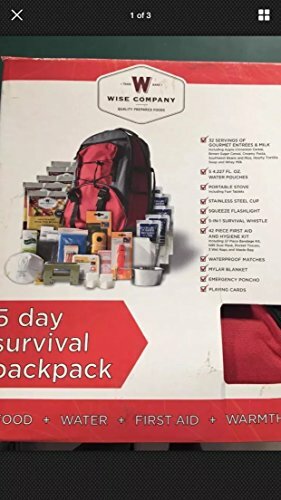 This Survival pack contains 32 servings of gourmet entrees & Milk, 5 packets of water, portable stove, fuel, stainless steel cup, squeeze Flashlight, whistle, 42 pieces first aid & hygiene kit, waterproof matches, blanket, emergency poncho, playing cards. The Wise 5 Day Pack weighs in at 4 lbs, 3.5 ounces and Contains 1 LifeStraw, Survival Knife, Survival Tool, Fishing Line, Compass, one small Axe, Fire Starter, 32 servings of gourmet entrees & Milk, 5 packets of water, portable stove, fuel, stainless steel cup, squeeze Flashlight, whistle, 42 pieces first aid & hygiene kit, waterproof matches, blanket, emergency poncho, playing cards. This pack includes everything similar to a 5-day emergency pack. but its packed for 2 people instead of 1 person. 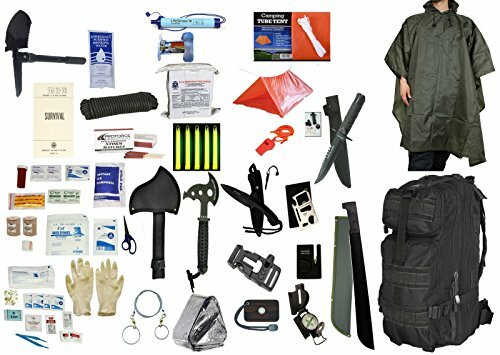 This Survival pack contains 60 food bars, 40 pouches of drinking water, Survival Tool, full set of first aid kit,2 Survival knife, Survival Axe, emergency poncho, shelter and many more. We’ve covered a lot. Now it’s time to get serious. Whatever you do, make sure you don’t forget any one of these items if you want to be sure of survival in the wild. Remember, a few sips of water could be the difference between seeing another day or never making it out of the wilderness. Feel free to add other items you think might be useful that are not mentioned here.